Breast acne is a common skin condition but can be very embarrassing for women. It can keep you from wearing your favorite clothes, especially when going out to a public place. Some women do not want to take any chance and keep them covered up all the time, even in the middle of the summer. Not only are these drastic measures highly uncomfortable, they do not work great either. You can certainly find other more effective ways to deal with pimples between breasts. Why Would Pimples Appear Between Breasts? Both boys and girls can develop breast acne. Most women are likely to experience the problem during pregnancy and during period. This implies that hormonal imbalances during these phases can make those pimples to appear between breasts. 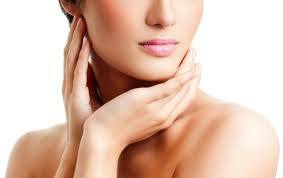 Stress hormones also play an important role in the development of acne and zits on breast. Similarly, an overproduction of oil in your skin, which could be the result of a hormonal imbalance, improper digestion, medications with a side effect of acne formation, impaired kidney or liver functions, improper drainage, and improper personal hygiene can all contribute to breast acne. You may also end up dealing with the same problem when you have a poor diet that includes loads of chocolate and fried foods. It is best not to mess with pimples between breasts. You may end up getting bruised while trying to pop a pimple. It can become quite painful then. You usually need to wait and let the problem resolve by itself. You may want to talk to your doctor though if your pimple keeps growing because it sometimes indicates a cancerous growth. Similarly, you may develop an infection in a pimple. This is usually the case when you notice it become filled with pus, which is formed by dead cells, bacteria, and oil. Infected pimples between can cause serious pain and may even make your areola to swell and become itchy at the same time. These infected bumps are likely to take longer to heal and they may recur for a long time. Using oral and topical antibiotics may help find some relief. While your pimples usually go away with time, you may want to take some steps to accelerate recovery and prevent infection. Here are some simple strategies to help deal with your breast acne. 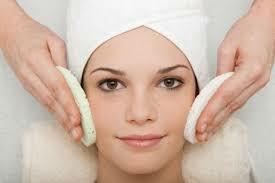 Look for a cleanser that helps fight acne – a cleanser with 2% salicylic acid usually works fine. Apply it on your acne using an exfoliating glove – change the glove every three months. Make sure you do not scrub too roughly or it will damage your skin and even rob your skin of its natural oils. This will aggravate your acne. Moreover, you should take a shower daily and use the cleanser while in the shower. One way to keep your skin in perfect condition is to exfoliate regularly. Exfoliating helps remove dead skin cells, which in turn prevents clogged pores. It not only keeps chest acne from recurring, it also helps acne marks fade quickly. You may want to apply a mask on your skin to feel better. You can find a mask that includes the good effects of mandelic acid or opt for the one made of charcoal or mud. When using a charcoal mask, you need to rub it directly on your chest twice a week and rinse it off with water. In case of a mandelic acid mask, simply apply it 15 minutes before a shower. It is important to rinse the mask using specially formulate acne wash. A mask that contains tea tree oil may also help fight chest acne. Aspirin proves effective because it contains salicylic acid. 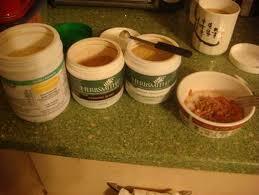 You can make a paste by crushing two aspirin tablets and dissolving them in a teaspoon of water and a teaspoon of honey. Apply the paste on your chest and wash it off after 10 minutes with cool water. This will help dry out your acne and reduce inflammation as well. Look for a cream that contains salicylic acid between 0.5% and 2%. Apply it directly on your pimples and let it dry out on its own. This helps accelerate recovery. 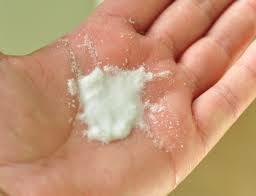 Similarly, you can also benefit from benzoyl peroxide because it helps in drying out and removing dead layers of skin. Take a cotton swab soaked in hydrogen peroxide and dab it on your pimples. Soak a Q-Tip in eye drops and apply it on pimples to reduce inflammation and visibility. Use a concealer that has salicylic acid – ensure it is a shade darker as compared to your natural skin tone. Apply a layer of foundation on your chest – ensure it matches your skin tone. Simply dust your chest acne with powder. Use calamine lotion to disguise chest acne. Under no circumstances should you be picking on your pimples or else the condition will become worse. Never apply heavy creams or even bath oils when you have chest acne. Take special care when applying sunscreen with chest acne. Stick to skincare products specially designed for blemishes.